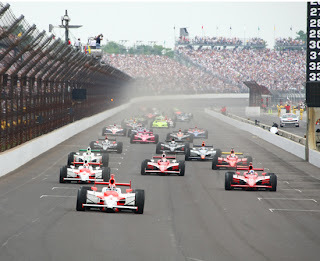 Pumpkin Fine Cars and Exotics: Indy 500 Tomorrow!!! We are now officially less than 24 hours away from the start of the 100th running of the Indianapolis 500!! Even to the casual sport and racing fan the Indy 500 is synonymous with Memorial Day weekend and is the most prestigious race here in the US and one of the most well known races in the world. The green flag drops around 12 noon tomorrow and the race can be viewed in it's entirety (all 500 miles) on ABC tv. There maybe only a hand full of sporting events that have run continuously for an entire century and this year the Indy 500 joins those elite ranks. With drivers like three time and defending champ Dario Franchitti, Helio Castroneves, Tony Canaan, Danica Patrick, Scott Dixon and Paul Tracy this race looks to be as exciting as any of the 100 previous. Of course you have names that no matter what decade we are in always seem to be in the fray like the legendary Andretti family with Mario's son John and grandson Marco, as well as Graham Rahal, son of legendary driver Bobby Rahal. There are four female drivers in the field this year, including the most famous, the aforementioned Danica Patrick. We here at Pumpkin Cars wish all of the drivers the best of luck and most importantly a safe race. At speeds of up to 225 mph there is little margin for error but we know these drivers are the best in the world and the safety technology is as good as it gets. However, for the average person to imagine what it feels like to be behind the wheel of a race car traveling at those speeds, it simply cannot be described. 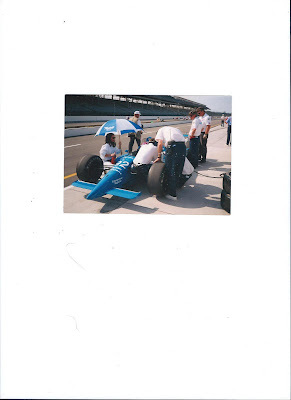 As most of our good friends and customers know, our own Franck Freon narrowly missed qualifying for the 1995 Indy 500 (and by narrowly, we mean by one car). Franck will tell you hands down that was the most nerve racking racing experience he has ever had because believe it or not the cars actually went faster in '95 than they do now. So coming from a man who raced for 18 years and had as much experience behind the wheel as anyone, it is not easy to race the Indy 500 by any means. So sit back, enjoy the holiday weekend, eat some BBQ, stay safe on the roads and enjoy the 100th running of "the greatest spectacle in racing"